Jaguar has just updated its F-Type with a tweaked exterior, updated infotainment system, and more models, but what we're really interested in is the new ReRun app, which combines vehicle performance data and GoPro footage to become the ultimate action camera accessory. The app, which runs on the updated InControl Touch Pro infotainment system, was developed in collaboration with GoPro, and takes key data, including speed, throttle position, gear selection, braking force, g-force and steering wheel angle, and displays it on animated gauges over the video. A unique feature analyses the data to capture highlights such as peak cornering and braking forces. Drivers can then download either the entire video with highlights included, or just the highlights from the ReRun app, edit the video, and share them online. 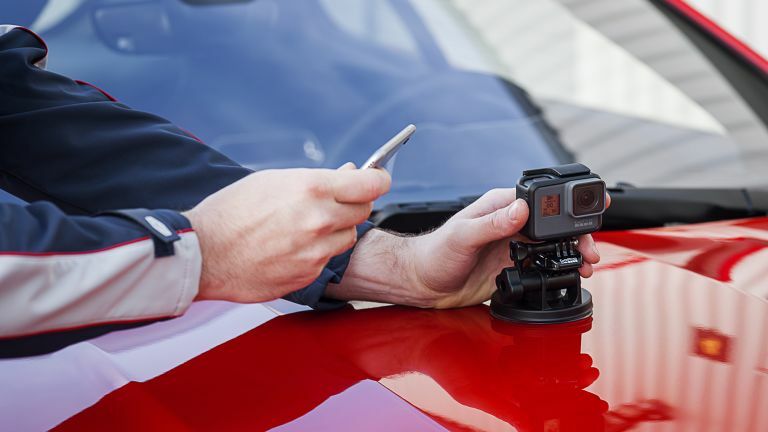 ReRun is compatible with all new F-Type models equipped with InControl Apps, and with iOS devices and GoPro’s Hero5 Black and Session, HERO4 Black and Silver cameras. The updated F-Type will start at £51,140 for the 3.0-litre V6 model, and will range up to £110,000 for the V8 SVR. The new 400 Sport comes in at £70,115.